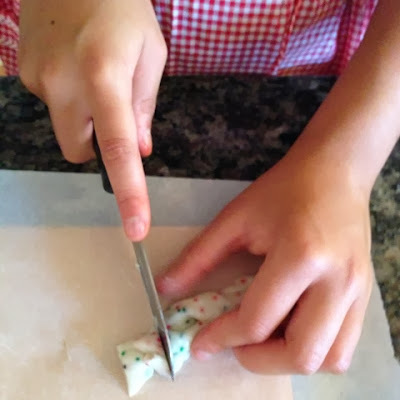 How to make peppermint TAFFY with your kids for the holidays. Kids enjoy traditions, those special experiences that come only once a year, so start an annual taffy pull with your family. Your kids will remember so much more than just the sweet tasting candy. They’ll remember the time spent together with family. With you. My great-grandmother was a school-age girl when taffy was first invented by a candy company in Atlantic City back in 1883—it’s a favorite family story. 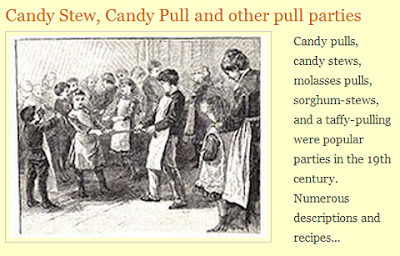 Taffy became a popular candy to make at home after that. 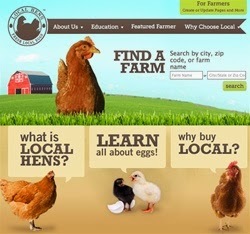 Learn more at Researching Food History. I still have great-grandma’s handwritten taffy recipe handed down to me when I was a girl. Taffy-pulling parties were popular in the late 1800s. 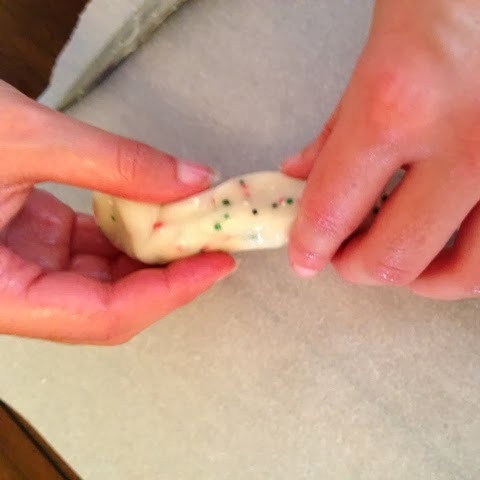 Some of my favorite memories are of time spent with grandma, making peppermint taffy with my twin sister each year. 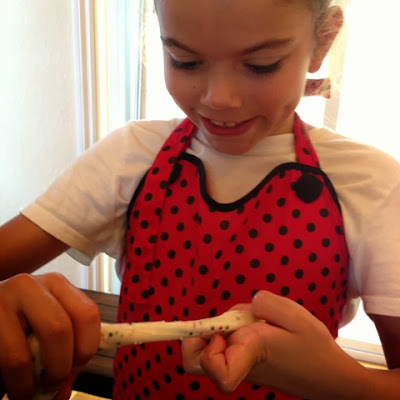 Kids love making treats of any kind, but there’s something extra-special about a taffy pull. When I grew up and had school-age boys of my own, I passed the tradition on them (yes, boys love making taffy, too!). that make the holidays more meaningful for your kids. 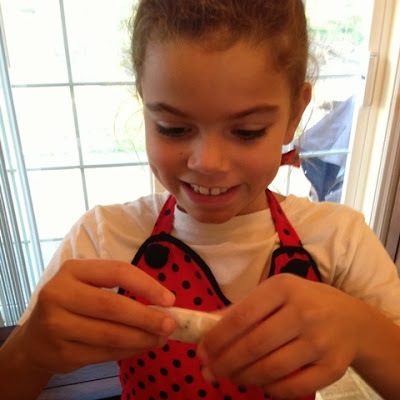 And now I’m sharing the recipe so you can start a taffy-making tradition with your family. Ready for some old-fashioned homemade fun? Let’s make taffy! 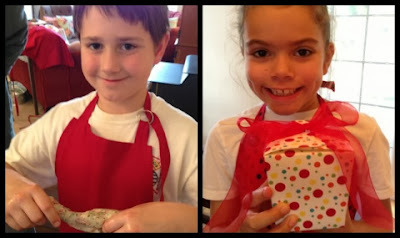 part of this activity while your kids help in other ways. See below). About 30 minutes to pull, cut and wrap the taffy. Gather all of your ingredients and supplies before you start. Taffy-making is sticky business. You won’t want to be searching through the cupboards for something! fingerprints all over your cabinets! Measure the sugar, salt and corn syrup into a heavy saucepan. In a small bowl, mix the water and cornstarch together until dissolved. Add the water and cornstarch mixture to the sugar, salt and corn syrup in the pan. Add the glycerin and stir everything together. CAUTION: Hot, sticky, melted candy can cause bad burns. Have younger kids work on the “Prep It” tasks in step #3 while an adult or supervised older child does the cooking in step #2. Clip the candy thermometer securely to the edge of the pan. 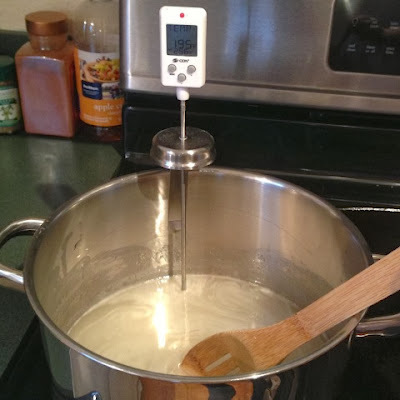 If you’re using a digital candy thermometer, you should be able to program the target temperature. Set it for 257°. It can take several minutes to reach your target temperature. Cook the mixture over medium heat, stirring with a wooden spoon. Cook the mixture over medium heat, stirring constantly. Use a wooden spoon to do the stirring. Metal will heat up too much and risk a burn, while plastic may become soft and limp. At 257°, remove from heat and add the butter and flavoring. As soon as the mixture reaches 257°, remove it from the heat. Immediately stir in the butter and peppermint extract. 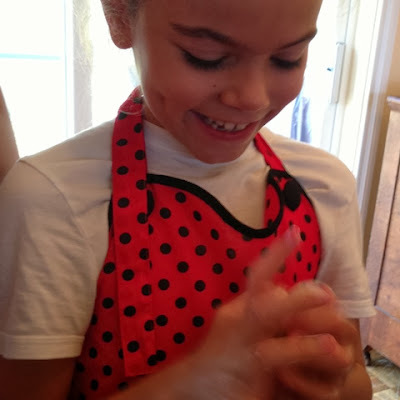 This step includes a few important but kid-friendly tasks that younger kids can do while the candy is cooking on the stove so they’ll still feel involved. Butter the glass dish and the cookie sheet. Grease the glass baking dish and the cookie sheet with a generous layer of butter. 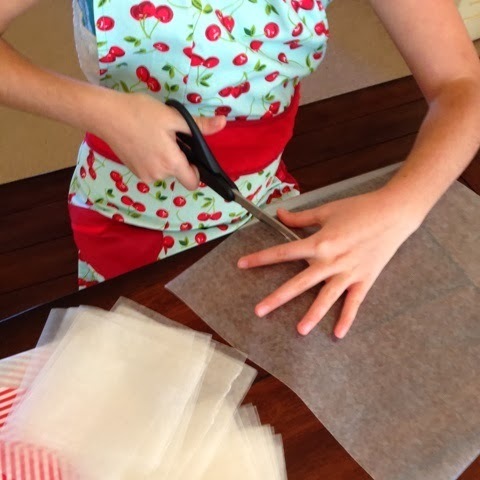 Cut strips of wax paper into 4” x 4” (10 x 10 cm) squares. You’ll need up to 50 wax paper squares. These will be used to wrap the taffy. 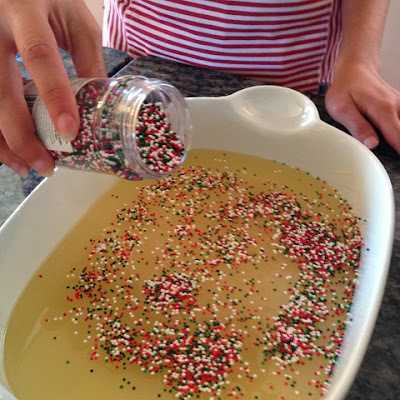 Pour the taffy mixture into the buttered glass baking dish without scraping the sides of the pan. the sides of the pan. Dust the surface of the hot taffy with the sprinkles. Spread a dusting of sprinkles over the surface of the hot taffy. Let the taffy cool until it can be handled without burning. Place the sticky pot you used to cook the taffy in the sink and fill with water. It will be easy to clean if you do this. 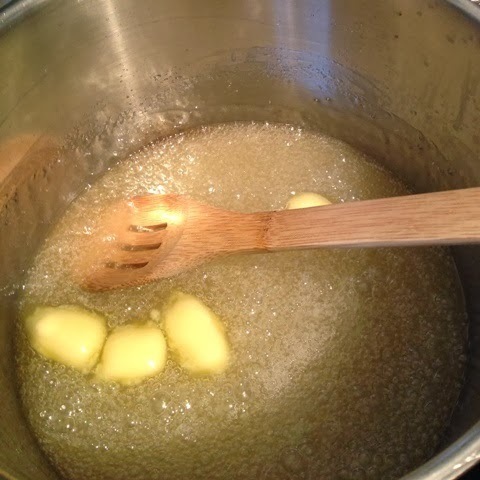 If you don’t fill the pot with water, the cooked candy will harden and be more difficult to clean later. Make sure everyone washes his or her hands well. 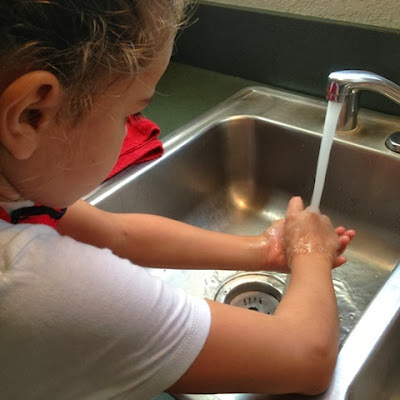 Have your kids scrub to the elbows, and make sure to clean under their fingernails. They’ll have their hands on the taffy for a good while, so they should be squeaky clean. Wear short sleeves. If your kids are wearing long sleeves, see that they’re rolled up and out of the way. You’ll need to reapply butter whenever the taffy becomes too sticky. Caution: apply only enough butter to keep the taffy from sticking to the hands. If your kids go crazy with the butter, the composition of the taffy may change and fail to set up as it should. Pull the taffy, fold it in half and pull again. Double-check that the taffy is cool enough to handle, then give each member of your taffy-pulling crew a ball to work with. Have them squeeze the ball into an oblong rope, then pull on the rope to stretch it out and fold it back on itself again. This is how you pull taffy. 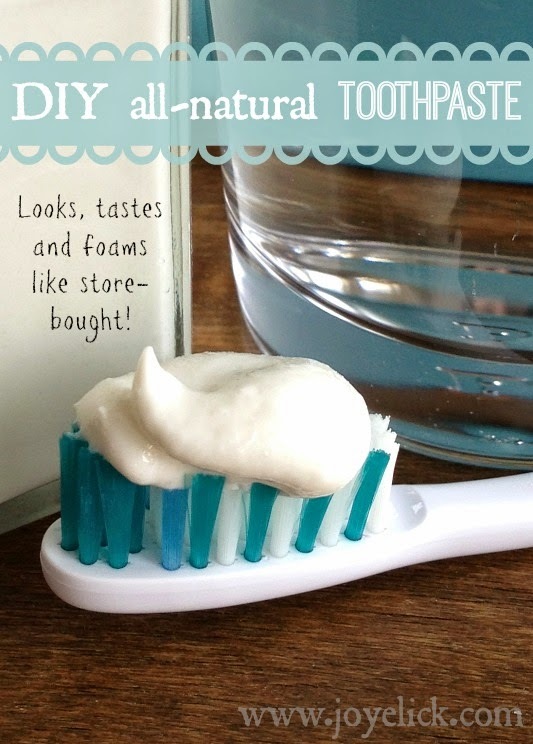 Keep pulling the taffy until it becomes a pearly white color. This will take about 15 minutes. While you’re pulling, it’s a great time to strike up a conversation with your kids. Here are some conversation starters about taffy, but you can talk about anything. Just talk! 1. (When you begin pulling) What does the taffy look like right now? first ate your favorite taffy? changed? What do you think caused this change? 4. And of course: Why do you think taffy needs to be pulled? 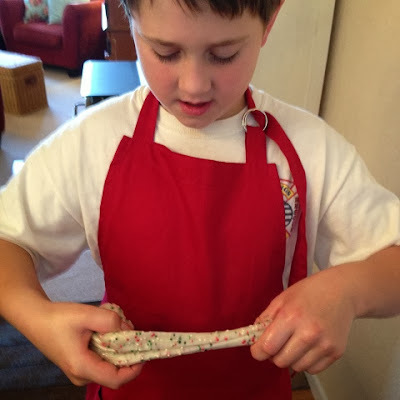 Taffy recipes always require this pulling process so that it can hold its shape. Pulling changes your taffy from translucent to a light, satiny appearance. 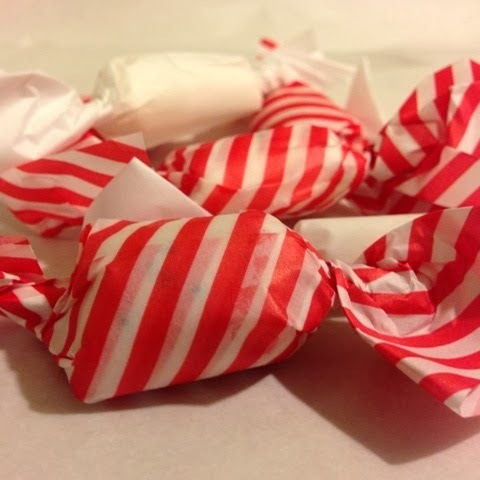 Every time you pull the taffy, tiny bits of air get trapped inside. This is called aerating the taffy. The trapped bubbles of air make the taffy stiff and chewy. everything you’d like to know about taffy. Once you’ve made taffy by hand, your family may want to learn more about how taffy is made in a candy shop or more about the historical significance of this traditional American treat. There are lots of videos and stories online and books at the library (both fiction and nonfiction). When the taffy is a pearly white color and has become stiff, pull it into long ropes about 3/4-inch in diameter. You can twist the ropes to give the taffy a nice form before cutting. Pull and twist the taffy into a rope 3/4" (2 cm) in diameter. Cut the taffy ropes into 1-inch long pieces. Be sure to butter the knife first and keep the blade well-buttered. This can be a bit tricky. 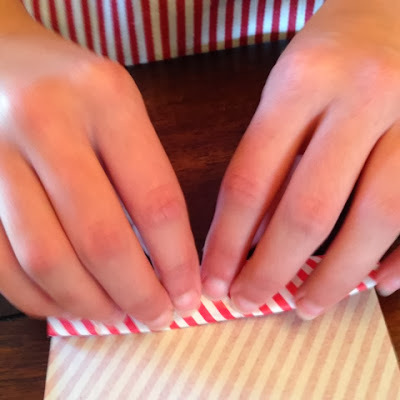 If you’re concerned about your kids cutting themselves, you may want to do this step while your kids do the wrapping. Cut taffy into 1" (2.5 cm) pieces. Cut the pieces onto a buttered cookie sheet. Wrap the taffy in wax paper. 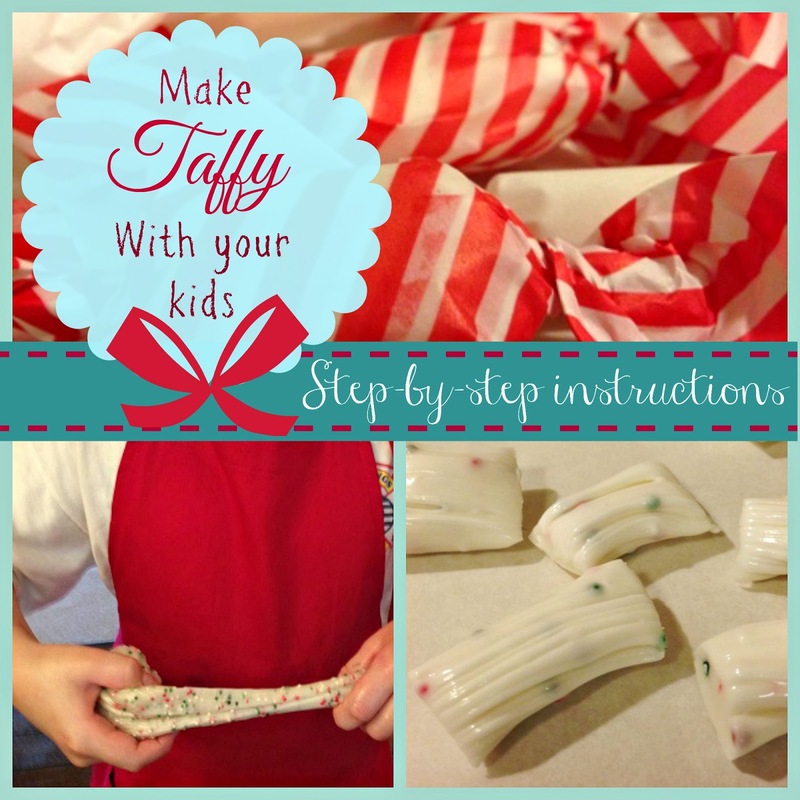 Wrap the taffy in the 4” x 4” pieces of wax paper. And twist the ends closed. A sweet treat for someone special. 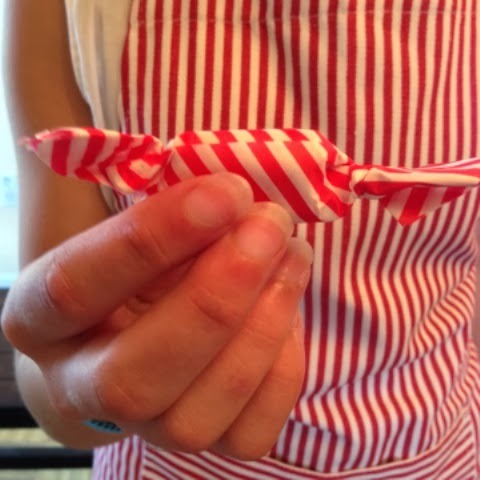 The taffy must be wrapped to keep its shape. 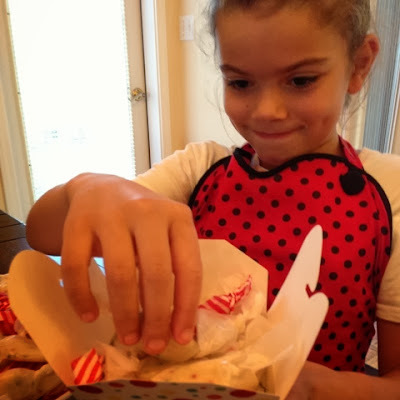 Homemade taffy is a sweet treat to give as gifts. After you enjoy a few pieces yourselves, wrap the rest to share with friends, relatives, neighbors, teachers… anyone! Use colorful wax paper if you can find it. We found this festive striped wax paper in the gift wrap and party section of a craft store, sold for wrapping party sandwiches. 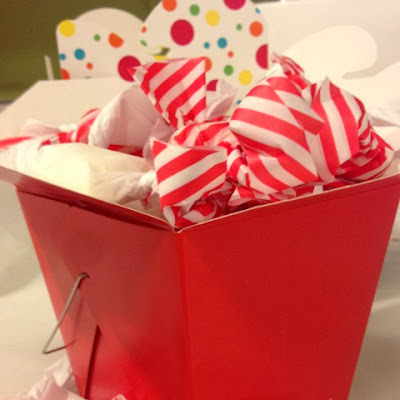 Box up the taffy and give it as gifts. Package your taffy in gift bags, tins, stockings or a take-out box like this one. Everyone appreciates a heartfelt handmade gift! Giving the taffy as gifts will give your kids a sense of accomplishment and pride as they practice generosity. 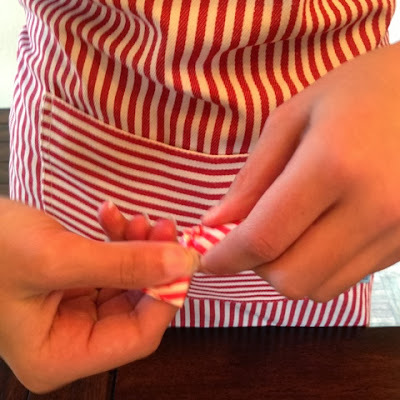 Peppermint taffy is not only a festive holiday treat your kids will love—the memory of making it with you will be just as sweet. Start a new tradition for your family. Make some memories (and some of Great-Grandma’s taffy) together. What do you think? What traditions do you celebrate with your kids? 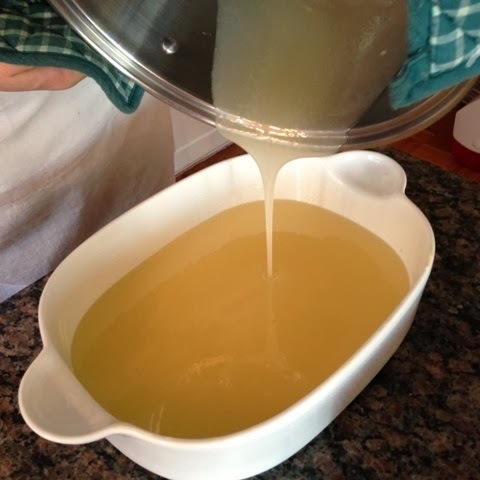 I hope you’ll give homemade taffy a try. Let me know how it goes by leaving a message in the comments below. Note: I originally wrote this article for My Kids Adventures. It first published on their website December 9, 2013. Now, it is being republished here. This is so pretty. If my granddaughters were going to be here for Christmas we might give it a try. So, I think I will bookmark it for another year. I love that you gave us such detailed photos. This is something that I have always wanted to try. Ever since watching it on Little House on the Prairie. Great job!!! Borrowing kids is a great idea :-) I did this with my nieces. Hope you will give it a try!